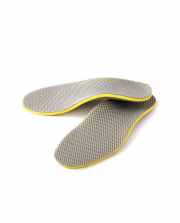 We stock a wide range of insoles that are designed to help make your shoes more comfortable. 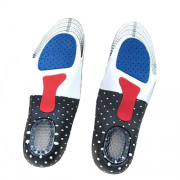 Orthotic insoles- Orthotics are specially developed insoles that use orthotic compression to support and correct the positioning of your feet. This can help to improve the function of your feet and take the strain off key areas of your feet. 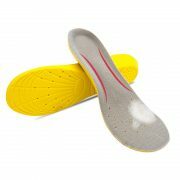 Orthotic insoles can also help to correct biomechanical imbalances that can occur when you walk such as overpronation. By wearing a pair of orthotic you will help to prevent aswell as ease existing foot pain and injuries. Arch support insoles- Strain and pressure on the arches of your feet can cause a foot injury called plantar fasciitis. Plantar fasciitis is the most common cause of arch and heel pain. 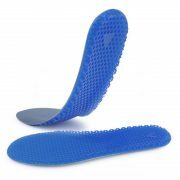 Arch support insoles help to reduce strain on your arches preventing damage to the plantar fascia. This helps to give your arches a chance to heal an stop plantar fasciitis from reoccurring. 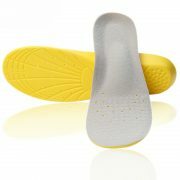 Sport insoles- If you are an athlete and you do lots of running and jumping then these insoles are ideal for you. 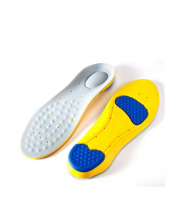 Sport insoles are made from shock absorbing materials and are ergonomically designed spread and absorb shock and pressure that can occur from playing sports. Sports insoles also help to correct pronation in your feet and support key areas of your foot from getting damaged, making them ideal for people who suffer from injuries such as shin splints and plantar fasciitis. 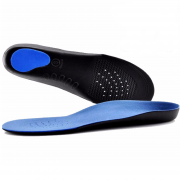 3/4 length orthotic inserts- These insoles are designed to primarily support the arch and heel of your foot. They are often lightweight and a lot less bulky to wear than conventional insoles. 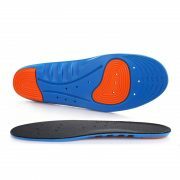 Due to the fact that these insoles only being 3/4 it means that they do not support your entire foot, however they do provide extra support and stability to your heel. Heel cups & heel pads- Heel cups are designed to support the heel of your foot and prevent damaging pressure from building up under your heel. 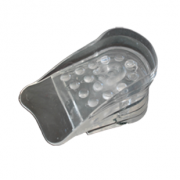 Heel cups are also designed cup around the your heel improving the stability of your foot and realigning your foot into a more natural position to prevent injury. 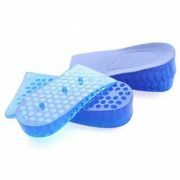 This makes them ideal for helping to stop your feet from slipping in your shoes and preventing you from spraining your ankles when wearing them inside your shoes.